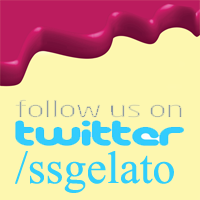 Our Awesome Organic Sorbetto Flavours! Our Certified Organic blueberries bursting with natural goodness make this handmade sorbetto a treat for the taste buds. Full of anti-oxidants and fantastic flavour! Our sorbetto, made with the “food of the Gods”, is packed full of Vitamin A. The tangy sweet dances on your palette leaving you refreshed and satisfied! Ripe, red and ready – our Certified Organic Raspberries are the star in this flavour-rich and sweet delight. Rich in vitamin C! Fat Free! Ripe, red and ready – only the best Organic Strawberries make it into our Sorbetto. Sweet and tangy, eating healthy never tasted so good! Fresh strawberries, local mint and a hint of lime. 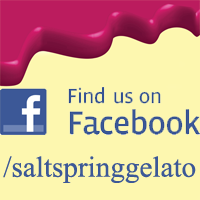 It’s summer on Salt Spring!